Hi, this study material is not available in any other Language except ENGLISH, but i would suggest you to take this material. why? Because we have designed this study materials for both Paper I and Paper II, fully based on syllabus, 100% original question. So we did not convert it to any other language, if we do so, there are 100% chances to change the original meaning of question pattern. Now as per your state TET exam you must have to face one language in English, so I believe at least you have some knowledge in English Language, if you have I would suggest you to keep this material with you. Because you will have maximum idea about the exam, and the type of the question which will comes to your exam, and yes this study materials will enough for you to understand TET exam, and will help you for better preparation, and also you may have some other book from your local market (which must have theoretical portion) and prepare yourself. 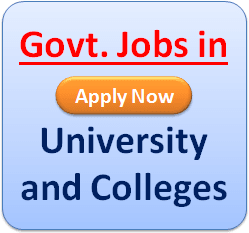 try the these questions which we are providing. 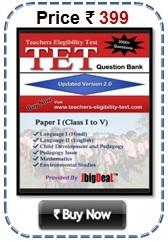 if your study very carefully both these materials, you can crack any TET exam any states. 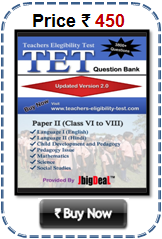 Here original means, all questions are based on most of the states previous year TET exam , some question has been provided by reputed TET coaching centers and experts. By this materials you will have the maximum idea about the exam. As Hindi And English languages are most common languages in India so we include these in our materials.